Welcome to e-Ville's audio and hi-fi cable selection! 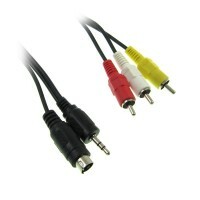 Here is a comprehensive range of HDMI, DVI, VGA, RCA, mini-DVI and other wires and cables. More than 10 € for purchases will have free delivery.